A lovely pair of Alice In Wonderland drink me bottle earrings, in your choice of either sterling silver or silver plated. Stuck to find the perfect gift for book lovers? This unusual style of literary jewellery is the answer! 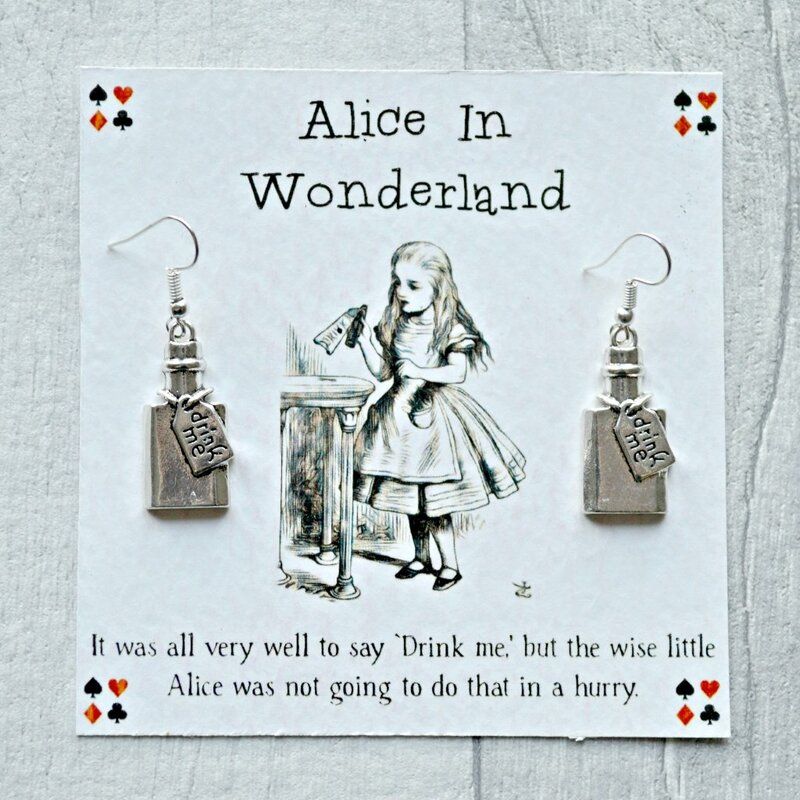 The famous ‘drink me’ bottles from Alice In Wonderland that shrinks poor Alice is now available in these charm earrings. A wonderful piece that would make a great gift or stocking filler on Christmas, Valentines, Birthdays, Anniversaries, well, any occasion really! Spoil your imagination with this wonderful literary gift. Please note- the threader earrings are silver plated only. If you choose sterling silver the threaders are swapped for a sterling silver ball stud on a traditional earring post, butterfly backing, and the same Tibetan charm from a ring on the stud. If you would like your purchase to be shipped as a gift to someone else, please put the address you would like it sent to in the notes section upon checkout.